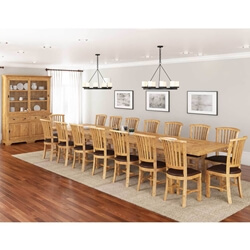 Our Brussels extendable dining table and chairs set is perfect for any extra large family or for any public gathering site that needs to sit a lot of people in the same place. 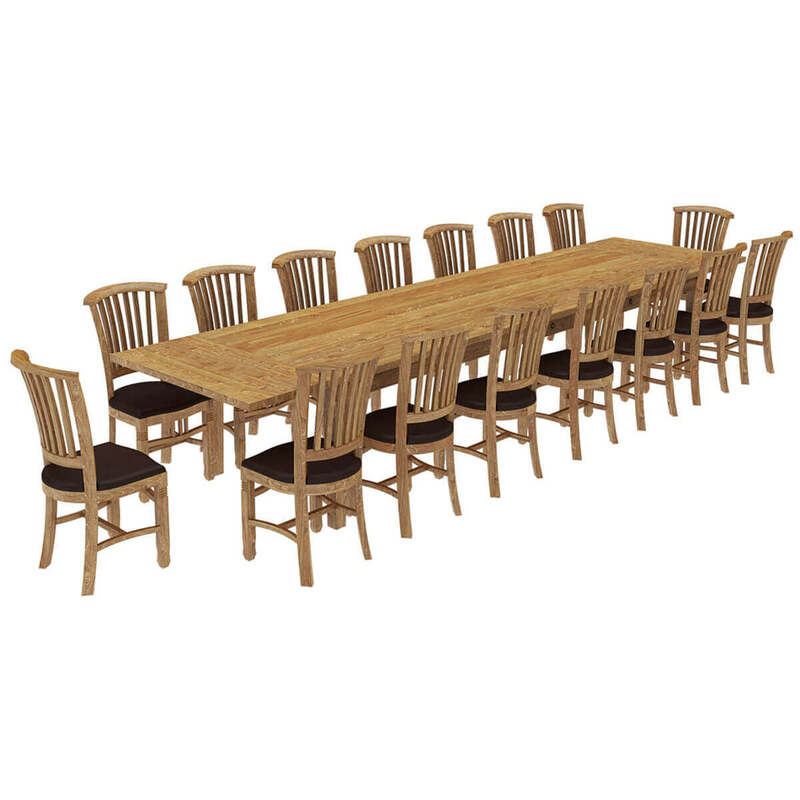 With Brussels dining set, you'll be able to have more than enough room to share a meal or hold a meeting. 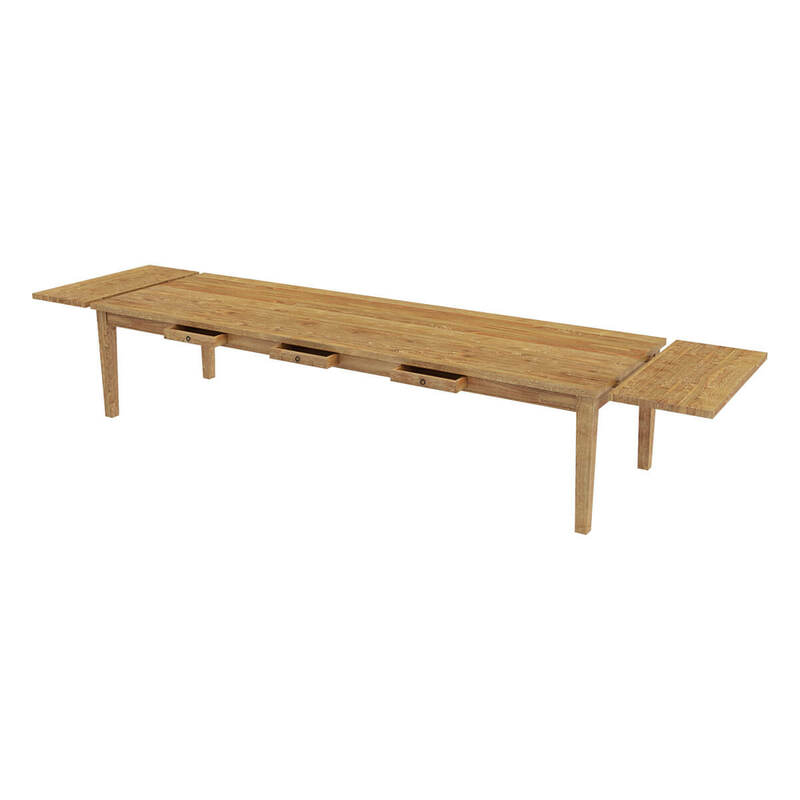 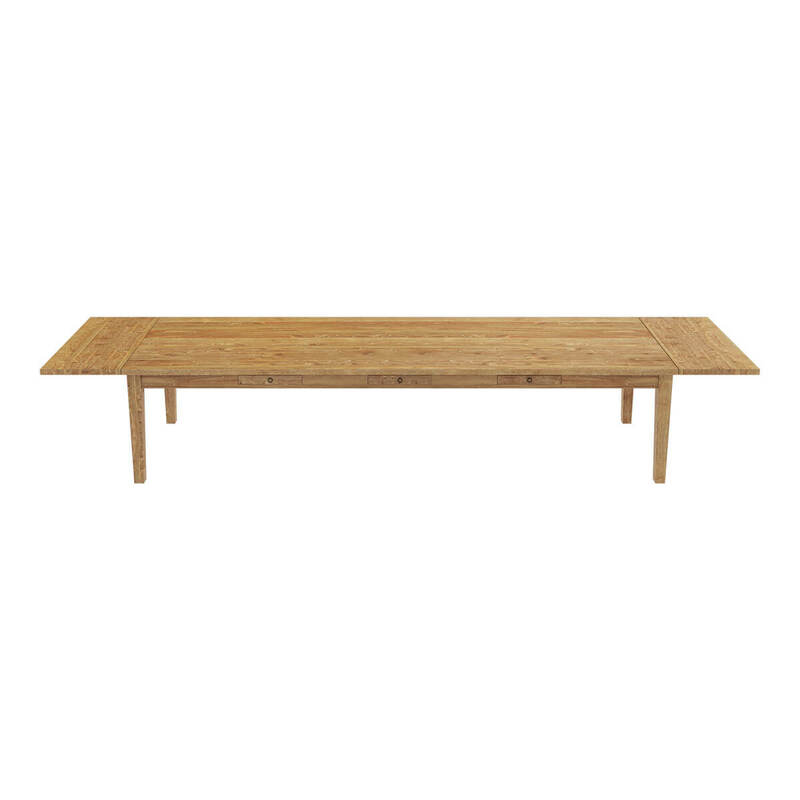 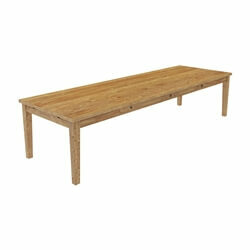 The Brussels dining set is made of solid reclaimed Teak wood and is 100% handcrafted. 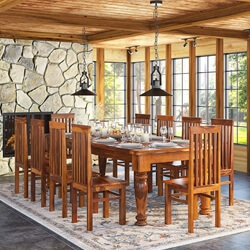 Lots of love went into making every aspect of the dining table and chairs memorable. 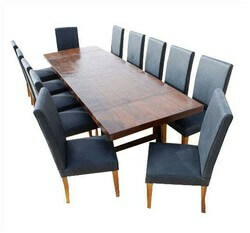 The Brussels dining table is extendable and can fit up to 16 people at one time. 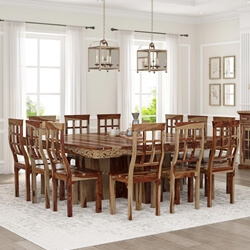 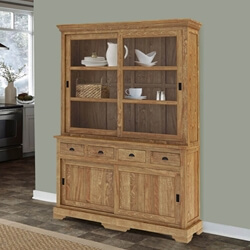 There are 3 drawers on each side of the table, giving you ample storage to hide away placemats, napkins, or silverware. 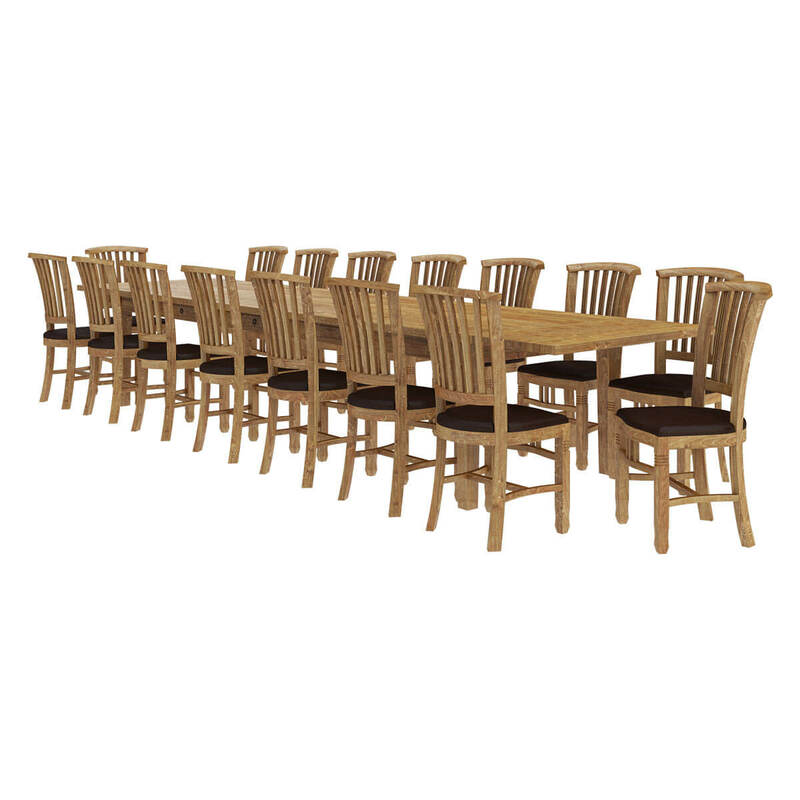 Our Brussels dining set includes 16 chairs, all handcrafted with lots of love. 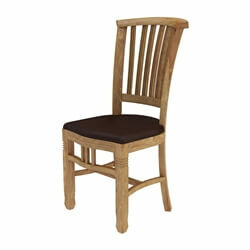 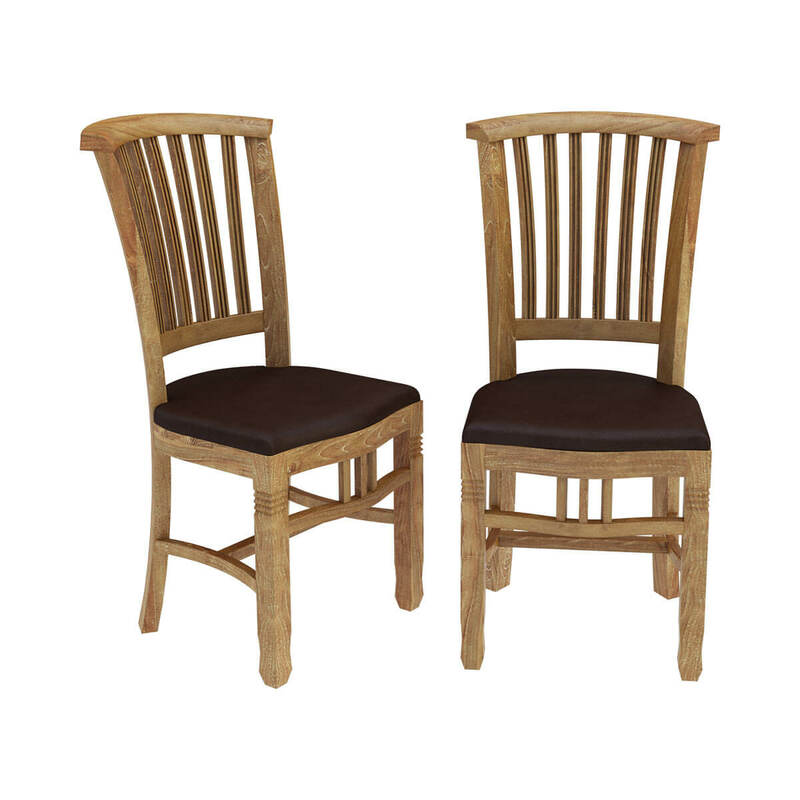 The detailing on the leg gives the traditional silhouette of the chairs a bit of character. 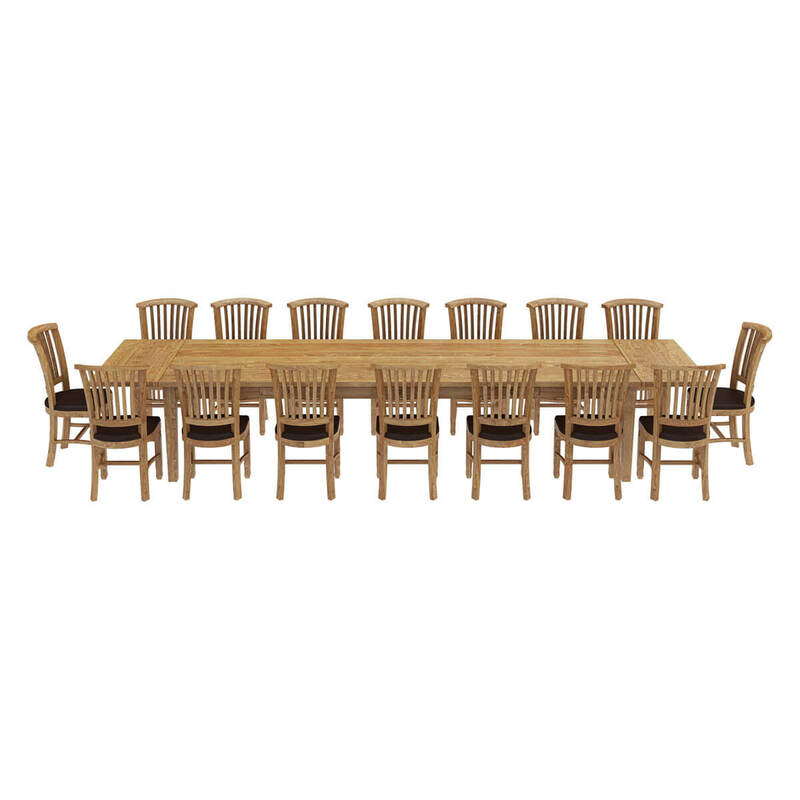 When dining at a Brussels table, you're inviting all of your loved ones to come and share a meal together. 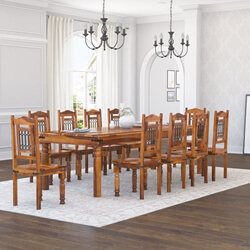 There's nothing better than being able to have all of your loved ones at the same place, and our Brussels dining set makes that happen.